The ability to utilize an overall understanding and dynamic application of Internet and conventional marketing. Varied experience in both technical and creative fields. An experienced writer, proofreader and creative consultant. Consistency as a motivated self-starter, an insightful problem solver, and a fast-paced, dynamic worker. • Office 2010 (Word, Excel, Access, PowerPoint, One Note). • Sony Vegas, DVD Maker, Sound Forge and Cakewalk Sonar X2. • Adobe PageMaker, In-Design, After Effects, Go Live, Quark, Director. • Java, Perl and Action Script reprogramming. • Computer graphics design with Corel X3, Adobe Illustrator CS5 and Adobe Photoshop CS5. • Design and construction of custom computers for home, business and Audio/Video applications. • Troubleshooting and repair of PC’s. • Computer maintenance of a 50-customer base. • Design and installation of Windows networks. 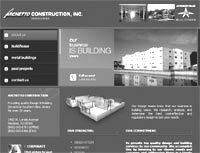 • Website/PowerPoint/Multimedia design and construction. • Proficient on most PC based word processors, spreadsheets, and databases. • Production, Capturing and Editing on web commercials for local businesses from 2009 to 2013. • Production, Capturing, Editing and Streaming for 2009 Stephen Wise Concert at the Rotunda, Univ. of PA.
• Production, Capturing and Editing for 2007 College Football Bowl Games in Memphis and New Orleans. • Video engineering and production of the TV Pilot Golden City, a learning program for pre-schoolers (1998). • Video engineering and production of The Children's Computer Learning Series first tape entitled “Learning Computers Are Fun! A Parent's Guide for Children”/ QVC’s program Quest for America's Best (1995). • Assisted in engineering and editing video for the national TV show, Breakaway (Fox, 1987). • Engineered and produced voiceover performances on computers for Internet companies. • Engineered and produced music performances on computers for local recording artists. • Engineered and produced recording sessions for over 100 recording artists. • Website Design/Internet Marketing for Spiritualityguidance.com, an Internet TV Channel. • Internet Marketing for Banksnet.com independent music record label. • Internet Marketing for Automatic Marketing utilizing Google AdWords and AdSense. • Designed, constructed, and marketed Websites, PowerPoint presentations, and e-Books. • Promoted roster Artists with video and radio promotion for RAD Entertainment (1989). • Radio Promotion Coordinator for Frank Zappa (1979). • Promotion/Marketing for Ohmatronics at the Audio Engineering Society’s Convention (1978). • Researched and wrote 5 eBooks for the Spirituality Guidance Channel (AtContent.com, 2012). • Researched and wrote Book, “Spiritual Growth: Articles Of Expectation” (Amazon Press, 2011). • Researched and wrote eBook, “The Art Of Buying And Selling” (Banksnet Press, 2006). • Wrote, storyboarded, videotaped and edited music, special interest, variety, and documentary videos. • Designed and built a complete Audio/Video Recording Studio Facility (1997). • Researched and wrote book, “Communication: The Key To Successful Living” (The Light Press, 1986). • Consultant on design and construction of a pro recording facility in Burbank, CA. (1979). • Developed Video instruction course material for Creative Video. • Taught filmmaking course for teenagers at the City of Newark Parks and Recreation (1999 & 2000). • Individual instruction in computers and Website design for children. • Taught Audio Engineering course classes on MIDI and recording techniques for USA (1988). • Production Management for Creative Video (2007). • Internet Marketing and Office Management (6 companies) for Possibility Investments, Inc. (2003-2006). • Development and management of a multimedia design company for over 5 years (1996-2001). • Developed and managed seven recording artists and their careers (1982-1995). 2002- 2013 Present ongoing individual study on presentation, promotion and marketing principles. Generalist, Site Designer, & E-Commerce. Coursework completed on latest web design technologies. Certification awarded as a Master Certified Internet Webmaster Designer (MCIWD). 1997 Microsoft Networking Essentials program. 1996 Course in Television & VCR Repair. 1995 Course in Computer Diagnostics. 1994 Videomaker Expo-seminars on Non-Linear Video Editing and Techniques. 1994 Ivy Tech-course in Digital Principles. 1993 Refresher course in Algebra/Technical Mathematics. 1989-1992 NRI-certificate course in Electronic Music & Computers. 1983-1985 Los Angeles Pierce College-A.A. (Associate of Arts) in Psychology/Philosophy/Computers. 1981-1985 University College Seminary- D.D. (Doctor of Divinity) in Theology. 1977-1978 Los Angeles Community College-several courses in Computer Engineering. 1973-1974 CREI-certificate course in Electronics. 1972-1973 Delaware Technical & Community College-Electronics. 2008 Internet Marketing/Web Design/Consultant for Hello Enterprises Publishing, Inc.
2007 Webmaster/Marketing Manager for Auto Marketing, Inc.
2005-2006 Webmaster/Marketing Director for banksnet.com. 2004 Webmaster/Marketing Director for Possibility Investments, Inc.
2002-2003 Webmaster/Director of Internet Marketing- BZB Printing, Inc.
1989-1995 Video/Promotion Consultant- R.A.D. Entertainment. 1987-1989 Video Engineering/Editing Associate- Breakaway/KTTV (Channel 11-Fox Network). 1985-1987 Audio/Video Engineering Technology Instructor- University of Sound Arts. 1979-1981 Studio Designer/Consultant- Burbank Studio Center Complex. 1974-1977 Electronics Inspector- Amtrak/Penn Central. Dean A. Banks of banksnet.com has been involved in the music/video industry for over 35 years. Dean began his music career on the East Coast by recording his first album in 1976 entitled "Money In The Bank". In 1977 he moved to Los Angeles, CA. and joined the band Tony Newton & Gravity as their keyboardist. During his tenure in L.A., Dean performed, toured, or recorded with such notables as Iron Butterfly, Wild Cherry, The Coasters, The Platters, The Drifters, The Lorna Wright Band (Gary "Dream Weaver" Wright's sister), Pat "Paraquat" Kelley (of legendary L.A. radio station KMET), Frankie Gaye (Marvin Gaye's brother), and Slim & Trim, in which he appeared in the MGM Motion Pictures release "The Penitentiary". After returning to Delaware in 1989, he functioned as keyboardist, manager, and producer for the SMI Music label's recording artist Steve Miceli, whose CD "A Step Away" was released in 1992. Dean's management experience was derived from his work with Frank Zappa's one time manager Bennett Glotzer, where he worked on the radio promotion staff. 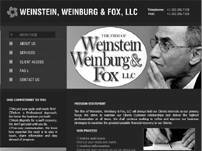 He learned a great deal about public relations from his work with Jo Ann Geffen's firm. In the past he managed a former Motown great Antonio L. Newton (Tony Williams Lifetime, Smokey Robinson, G-Force (w/Gary Moore), and Thelma Houston). His past roster has included Miya Williams, Suzanne Oliver, Erin DeVore, Mary Archer, Steve Miceli, Dawn Platt of Tempting Fate, and co-management with Rick Dougherty of Hannon Tramp. Dean's production experience was gained as an engineering intern with Bill Ravencraft (Marvin Gaye, George Benson, Led Zeppelin) of Motown Studios and Marvin Gaye Studios, Hollywood, CA., and independent producer Ken Scott (The Beatles, David Bowie, Kansas). Dean has worked as a producer/engineer with Antonio L. Newton, The Light, Slim & Trim, Frankie Gaye, Hugh Ferguson (former guitarist/Graham Nash), Paraquat Kelly, Kim Fowley (The Runaways, Helen Reddy), Miya Williams, Suzanne Oliver, Erin DeVore, Mary Archer, Steve Miceli, and Dawn Platt of Tempting Fate. Applying his studio experience, Dean has managed five studios in the past; Wilshire Fine Arts, Burbank Studio Center (which he also co-designed), Sierra-Pacific Studios, Muse Studios, and Ohm Studio. He has engineered with analog and digital equipment at the following L.A. studios: Kendun Recorders, RCA Studios, Cherokee Studios, Motown Studios, and Devonshire Recorders. He received his A.A. degree from L.A. Pierce College (Psychology/Computers) in 1984 and his D.D. degree (Theology) from UCS in 1985. After college Dean taught audio engineering technology for a year at the University of Sound Arts (USA) in Hollywood, CA. During Dean's tenure at Muse Studios, he and Morris Wilson collaborated on the dynamic song "Feel The Wind In Your Sails", receiving high acclaim when the song was played in the L.A. radio market. Branching out, Dean spoke on pursuing your dreams at a Mind, Body & Spirit Festival in San Diego, CA. All in all, Dean has performed at a high caliber in the music industry. After relocating to Delaware in 1989, Dean formed a local music magazine called Music From the Ledge. During his tenure with the magazine as Editor-in-Chief, Dean interviewed such notables as Dio, Extreme, King's X, and Kansas. In the early 90's Dean was writing songs and soundtrack material for the United Kingdom based company, SMI Music. During the late 90's, Dean designed and built a full service audio/video complex called the MultiMedia Mall, a consortium of graphics, web design, and audio/video production. Applying his understanding of multimedia production, Dean started a parallel career path as a Webmaster at the turn of the century. In 2002 he received his certification as a Master Certified Internet Webmaster Designer (MCIWD). His training was specialized in e-Commerce design and implementation, part of his career path for present and future music marketing. In 2009 Dean created the Spirituality Guidance Internet TV Channel to provide access to current Spiritual leaders online. He released his third book, “Spiritual Growth: Articles Of Expectation” in 2011. Currently, Dean produces multimedia marketing and advertising campaigns, engineers audio and video productions and is the webmaster for his company, banksnet.com.